I didn't plan on eating chicken feet when I showed up at Cochon in New Orleans the other day. 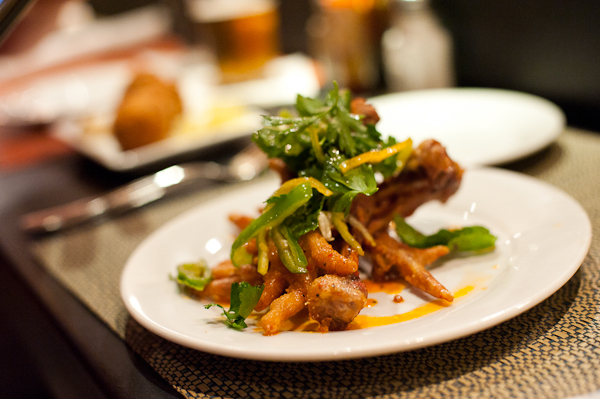 Chef Stephen Stryjewski sent out this plate of fried chicken feet. They were fried then tossed with butter, herbs, and garlic. The small nibbles were succulent and full of flavor. This is my new favorite appetizer.